Payment online services through terminals easy mainly because to find at any time of the day and in the right area of the terminal is incomparably easier than the office Internet provider. To be able to use this payment method, you need to know the account number of your contract, although in some cases it may be enough and phone number. The payment procedure complexity is not, as each step is accompanied by text and sometimes voice instructions. The procedure of payment through payment terminals QIWI and "Messenger" are almost indistinguishable from each other. First you need to select "Payment services". Select the category "Internet" or "Internet and IP telephony". Select the provider whose services you must pay the total list. Enter the ten-digit account number. The first digit must be a seven. In some cases (for example, if you placed a contract on the website Yota) it is necessary to specify the phone number given to you at registration agreement. The entered number can be corrected using the left arrow button (erase the last digit) and press the "C" (erase all numbers). 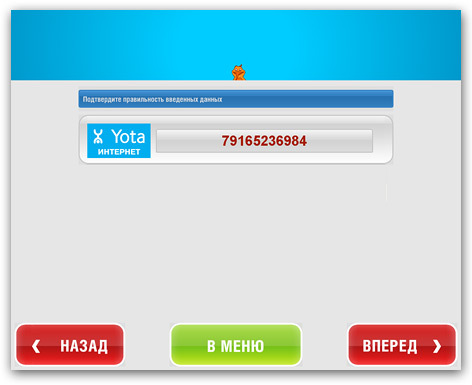 Check in the next step the entered number and click "Go". Insert a bill acceptor of the desired value. If one is not enough - do it a few times. Please note that putting the terminal to give can not. 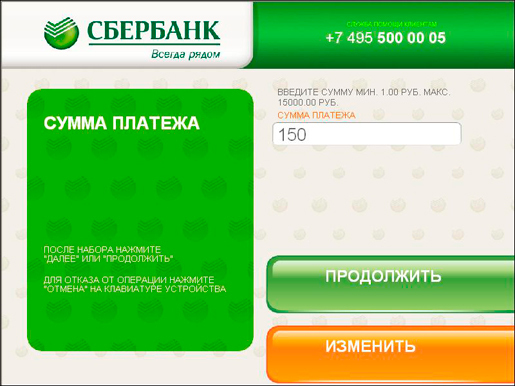 When the total amount of banknotes entered is displayed in the field "amount" will be sufficient, click "Pay". Wait until you print the check and save it - this is required in his instructions to all providers. 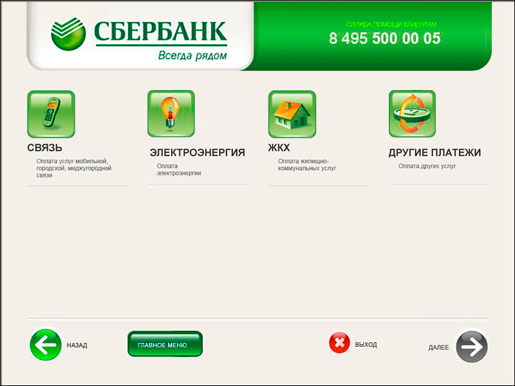 Payment terminals of Sberbank's a little less convenient, since are usually housed in the offices of the Bank and are therefore not always available after hours. But they offer the possibility of payment with use of payment cards of the Bank. The procedure can vary depending on the region and specific locality. For example, in Moscow, after selecting a payment method ("Cash" or "card") it is necessary to choose section "Other payments". 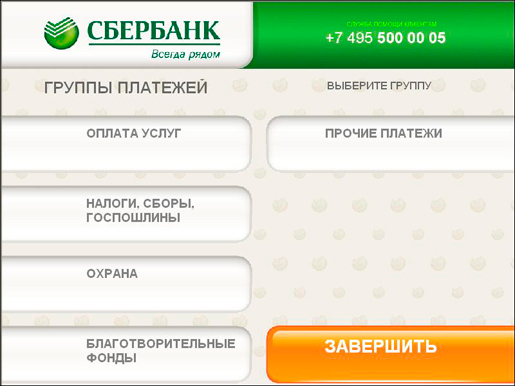 Click "Payment services" on the next step of the procedure. Click "Internet, TV, and communication" in the list of categories of services. Choose the right Internet service provider in the list of service providers. Enter the ten-digit account number with a seven in the beginning. If you need to fix anything in typed, then click the "Edit"button. Enter the desired number of banknotes in the banknote, but if you use a Bank card, then simply enter the amount. This amount can also be adjusted by pressing the button "Change". When you pay using the card, enter the PIN code. Wait until you print the check and save it. The easiest way to find out the amount of payment for city phone - wait for the next account. However, there are situations when you wish to pay your current debt before he came or did not live at the address to which bills are delivered. Opportunities to obtain this information vary from town. Most of this is just a call or a visit to a phoneing company. If you live in the same city where you have installed the phone, for which you want to pay and have enough time to visit phoneing company, can know the amount to be paid on the spot. The larger the city, the more the phonecompany Noah points of customer service. In smaller regional or district centre it can be one of the whole city. You can find addresses to phonegovernmental accounts, the operator's website or by phone, which is also usually specified in the accounts and the website operator (if any). 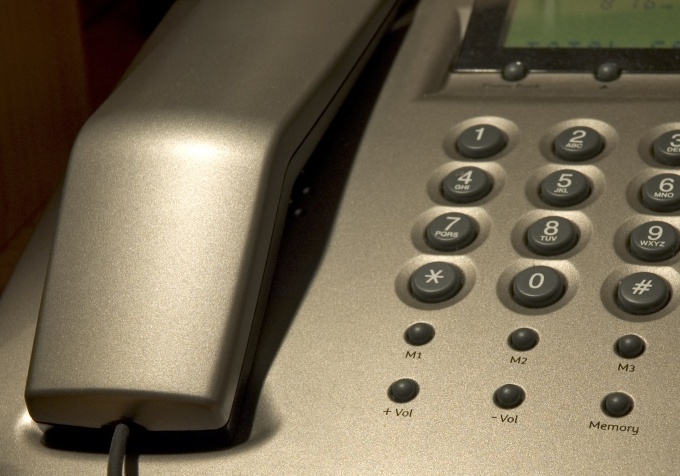 By visiting the office during working hours, contact box and let your room phone. If you have money can produce and paid in the same window, or the box office. Source of information about the phoneMr. number where you can learn about debt, is also a bill from the phonecompany Noi and in the presence of her website. In most cases, for these cases, there is a separate room. When you call tell your room telephoneand let the desire to know the amount to be paid. In some companies, unable to identify to ask in whose name a contract of provision of services. Although today many phonebusinesses have their own websites, the ability to find out a debt through the Internet to provide a few of them. 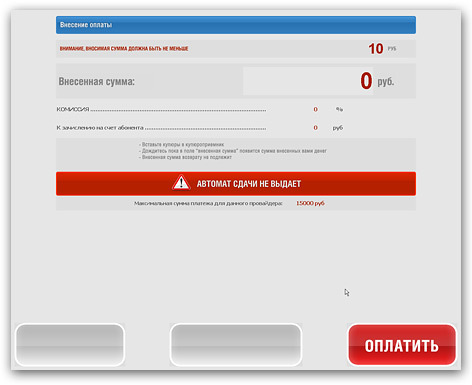 For example, the Moscow fixed line operator MGTS allows its subscribers to do this through a personal account on the website. But first you will need to obtain the password to log in to any the company's office or by calling the number listed on the website. The username is your phone. In other regions, the availability and terms necessary to specify the operator. 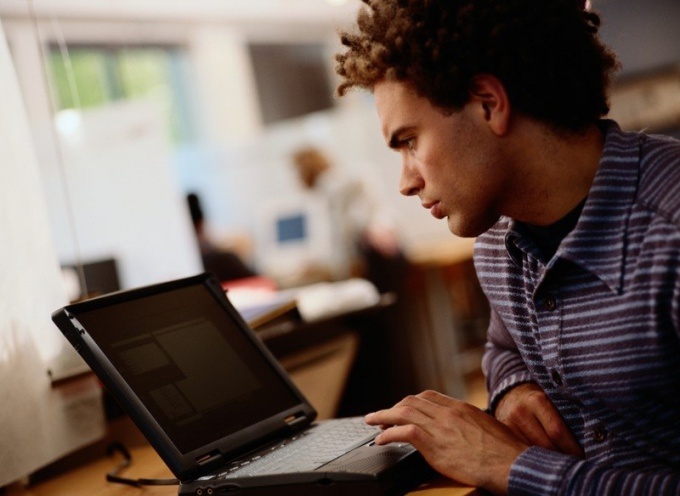 Untimely paid service for the use of the Internet in some cases can seriously affect any business, activities, etc. Suppose that you urgently need to send an email to the boss, or to find information on any issue, and suddenly find that the access to the worldwide network is closed. To such cases as much as possible, become familiar with the payment methods for the Internet. Many Internet service providers offer its subscribers a service called "promised payment". This method is convenient because you have access to the Internet instantly. Each provider is the terms and conditions of feature: varies the size of the loan and the period for which the service provides access to the network. At the end of the service you will need to pay for Internet in a different way, listed below. To pay for the service of the Internet service provider via the terminals. For this you need to know what types of terminals you have a service provider where the logo covered services and what it looks like. When making a payment through the terminal, fees may apply, so the amount of the payment should exceed the monthly amount for the Internet. Another payment method for the Internet is ATMs, usually at no charge. Each Internet provider partnered with certain banks, so the owners of those or other plastic cards can pay for the Internet in this way. If you have an e-wallet, you can pay the so-called electronic money. However, this method is suitable only if Internet access is not yet locked, or you have the option to pay using the Internet elsewhere, for example, from work. Some Internet service providers release a card activated access to the Internet. They have different value, depending on the rates of each supplier. They are sold in the salons of cellular communication or in other specialized shops. The point of sale of such cards Internet service provider usually publishes on its official website. Most often, the actual cost of such cards exceeds their nominal value, equivalent to the fees. The fee for the Internet can be made in other ways, for example, via mobile phone (there is a withdrawal from the subscriber's account), through savings banks, post offices and others. Each Internet service provider the payment methods individually. In terms of total distribution cellular and landline home phones faded into the background. The new generation is not always even understand the essence of the misadventures of Stirlitz, a problem which would be solved on just one call on the cell. 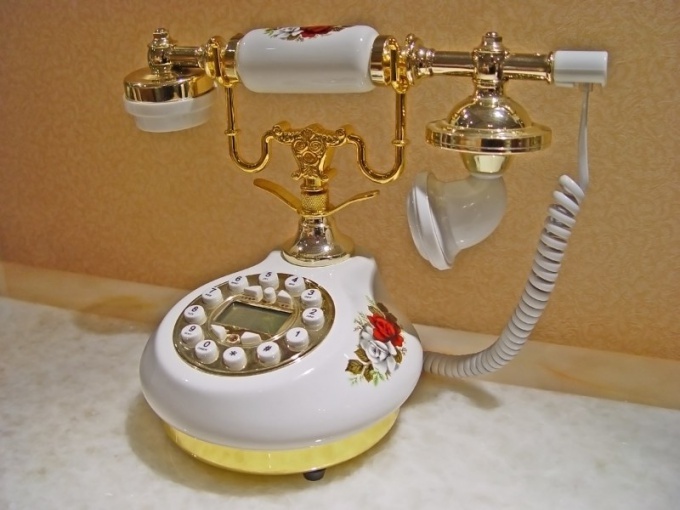 However, the majority of the population is in no hurry to give up regular home phones, sometimes inherited from parents. Visit the nearest post office with telephone booths. Find balance with your home phone , you can use installed in the hall for visitors to the terminals. Some post offices not equipped with the negotiating points also have these terminals, as there are many call centers that are not aligned with the post office. Use the keypad to enter the number of your phone and the terminal, on reflection, will show on the screen the amount of expenditure at the end of the month and the amount you should pay. Such information is available separately for the services of city and long distance telephone services. 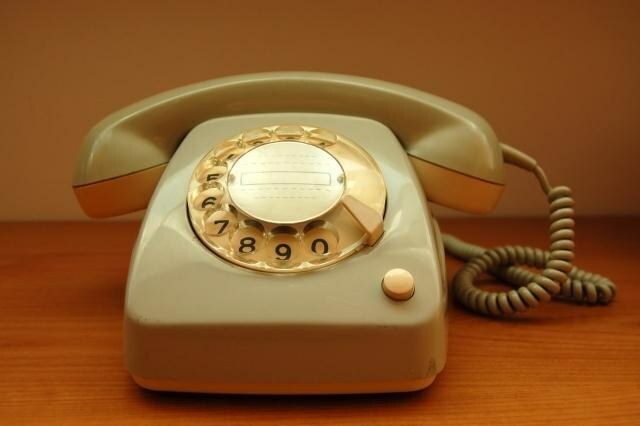 Visit your local or urban telephone exchange - where you can ask the operator not only balance, but also to ask for a detailed printout of your incoming and outgoing phone calls from your number. Call the customer service or an information service provider, with whom you have a contract for the provision of urban and intercity telephone communication. The operator on duty can provide information on the amount of balanceand your phone bill. Be prepared for the fact that in addition to the number of the phone, the operator may ask you to call the contract number or the name and surname of the person who concluded this agreement. Send a TEXT message to the short number allocated by your operator to inform subscribers about the balances on their accounts. 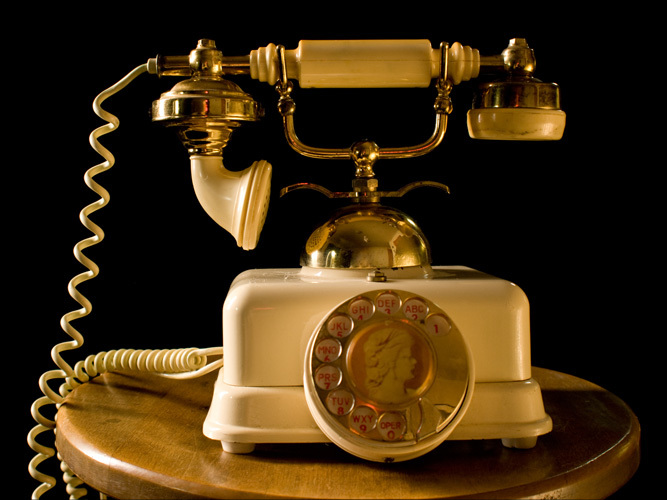 This service is usually free, although it is not yet all operators of fixed telephony. On the operator's site or telephone technical support you need to specify the format of such messages. 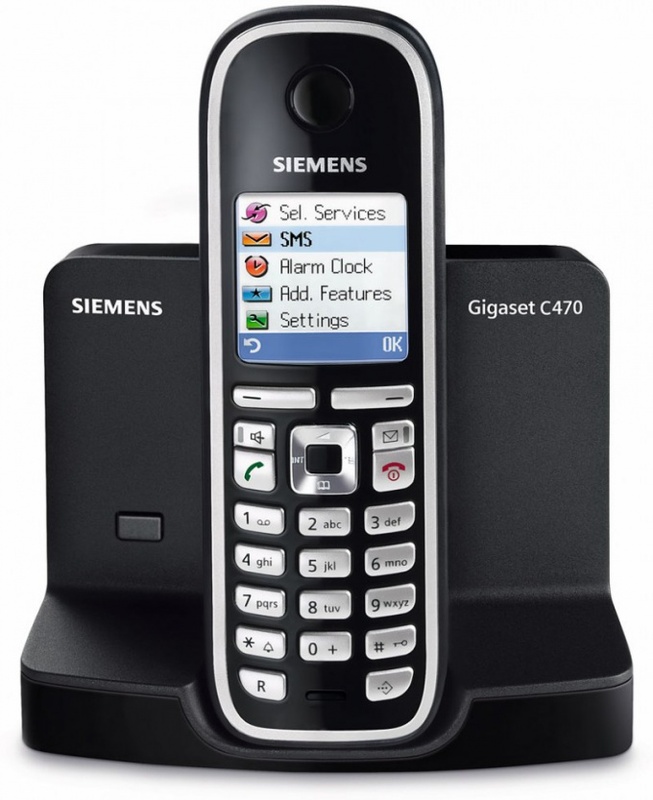 It must be specified the landline phone and a reference code information that you want to get. To learn this method as a common balance of all services, and separate amounts for local, long distance and Internet connection. Take advantage of the personal Cabinet of subscriber, if your stationar communication operator provides this service. Logged on the statistics server operator, you will find in the private area details the expenditures by months and remains balanceand separately for local, long distance and Internet connection. MGTS is the Moscow state telephone network, i.e. system of public phones. Payment for services of MGTS can be accomplished in several ways, for example, if you don't want to wait for their turn to the coveted window, use the special service for payment through Internet. Use to pay for the phone MGTS payment system of the Internet "wallet", which is common in Russia, Ukraine, South Africa, USA. It provides realization of financial operations between the participants in the Online mode, is designed primarily for the population, first of all, to be able to pay for the services. To start working with the system, go to the website http://www.w1.ru/map/connect/. Click on the link "Register", then log in to the system. You can also install a special application to work with the "Single wallet" on your mobile phone or work with the online version of the website for mobile (m.wl.ru). Start the app "wallet" in any convenient way to pay for telephone MGTS. Click "Utilities" and select provider MGTS, or in the search bar enter MGTS/mgts, click "search". Fill in all the fields on the form using the receipt. Enter the ten digit phone number, the amount to be credited, and the number of the apartment. The money will be transferred to the subscriber's account on the next working day after payment. Use Bank card to pay for MGTS services, or to make a down payment. Payment system MasterCard Worldwide. (including Maestro/Cirrus). To pay click the link https://payments.chronopay.ru/?product_id=005718-0001-0001&product_price=1.00. The Commission and other additional charges will not be levied, the amount paid will be credited to your account within three working days. Make sure that you will be able in your personal Cabinet (https://lk.mgts.ru/). Please note that the erroneously transferred money is returned only to the Bank card. Most companies offering fixed telephony, use the postpaid billing system with customers. It consists of two parts: subscriber fees and the amounts taken for per-minute billing of calls. So at the end of the month, there is a need to know the total debt for communication services. View account receipt, which are monthly bring to your Inbox. It will show not only the total amount to be paid, but also detailing your calls. Find out data from your personal account. Now, many phone companies offer their customers the registration on the official website. After filling out the necessary forms, you will receive a username and password. After authorization on the website you will be redirected to your account. There will be data about the tariff plan that you have. And what amount is now in your account and which needs to be paid for the services of the past month. Call the support service. For example, if you use services of "Rostelecom" (the leader on Russian market of telephony), then dial the number 8-800-4500-151. The support services technician will need to provide name of the subscriber, with whom a contract for services and phone number, the debt on which you want to find out. Some operators also ask the home address of the client. If you use the services of home telephony from the company U-tel, in addition to the above methods, you have the opportunity to order of payment receipt by e-mail. It is enough to come to the office and ask the specialist to prescribe e-mailbox in the contract. This can be done through the Uкабинет. If the amount for use of the telephone seems unreasonably high, you can order a transcript of calls over the past month. In each company a fee for this service is different but on average does not exceed 50 rubles. Phone informer for the company's customers, U-tel - 8 800 300 1806. To call and get the necessary data around the clock. To access the Uкабинет in the company U-tel you need to create an account by clicking the link https://ucabinet.u-tel.ru/. 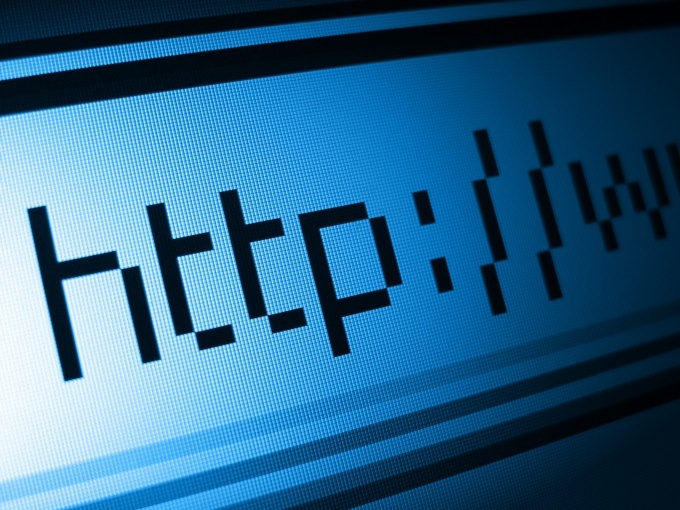 Unlike utility providers, Internet service providers rarely send their clients account. The subscriber most often responsible to monitor their balance of payments. So you need to know how to obtain information about the amount of required payments. Login to your personal account on the website provider. Usually the username and password issued to you at the conclusion of the service contract or you have to register on the portal independently. In the personal account reflects the balance of your account, and you can understand what amount should be replenished. In some cases, you will be able to make a promised payment, for example, if you cannot attend any of the provider's office or other place where they take the payments. Learn the principle of removing the Board, which practices your provider. For example, unlimited online money from your account may be charged monthly or daily. In the first case, for the Internet to work you will have to pay the required amount prior to the first day of each month, and the second situation - to pay online or directly forward, or small parts, for example, a few days of use. Also at the same time specify whether you to withdraw money when the Internet is blocked due to negative balance. If so, it would be advantageous to block the channel in case you are some time are not going to use it. When using the Internet charges for downloading information, keep account for some amount of money. This is necessary because you may not always know exactly how much information you have loaded. Contact the provider's office. In any case, take your passport with you, although the account balance to you in most cases will be able to name at the mention of your name and address. On site you will be able to make the necessary amount. 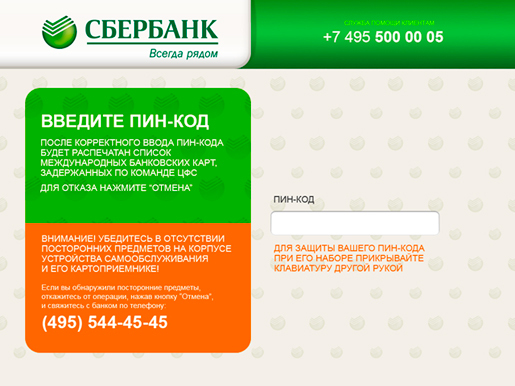 The operator will be able to tell you when to make the next payment that you have not blocked the Internet. Verify the account balance using machines fast payments. This service does not provide all the providers. Note that for this you will need a contract number with the company connection or a number of your personal account in the system calculations. People who have installed a home phone, monthly, comes a receipt for payment of communications services that must be paid. There are several ways of payment. Pay for communication services at the post office. To come to the nearest branch. You must have a receipt and the required amount. In this type of payment fee for payment is not deducted. The postal worker will take the cash, and you will be given a ticket and a receipt confirming payment. You can pay your bill in the Bank. Visit any Bank branch and make payment. The Bank employee give notice of arrears together with the specified amount. The operator will make all the necessary manipulations and will give you a receipt and ticket, which are considered confirmation of payment. If you have a plastic Bank card, use ATM. In this case, you do not have to stand in queues, and a receipt you do not need. On the machine select the required option, enter the phone number. The amount required for payment will be displayed automatically. Make it through the bill acceptor, then the ATM will issue a receipt. If you have an account in any Bank, pay phones and other services via the Internet from the comfort of home. 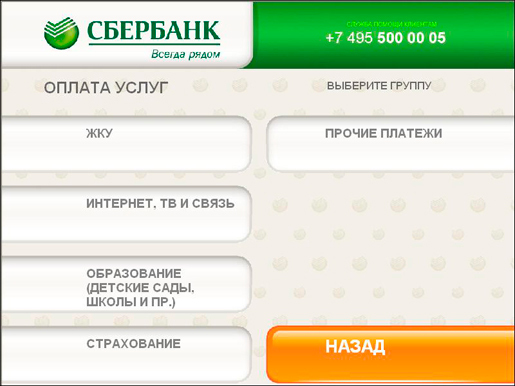 This is possible if the Bank's website provides this option. Select it and then click "Pay". Enter all of the requested data. The transaction history will be confirmation of your payment. If you use electronic money, make payment through Internet. You will keep a Commission, the amount of which is determined directly by the system itself. Keep any receipts for at least 2 years. If you wish to Deposit money in the Bank, please note that the majority of them for their service takes a Commission which is calculated as a percentage of the amount. So, first of all, find out which of them charges less or absent altogether.